On offer is a lovely vintage piece of mashrabiya ware - dating to the early 20th century. It is one of a matching pair - so if you are interested in both my lovely frames, please select the second one under the quantity box. 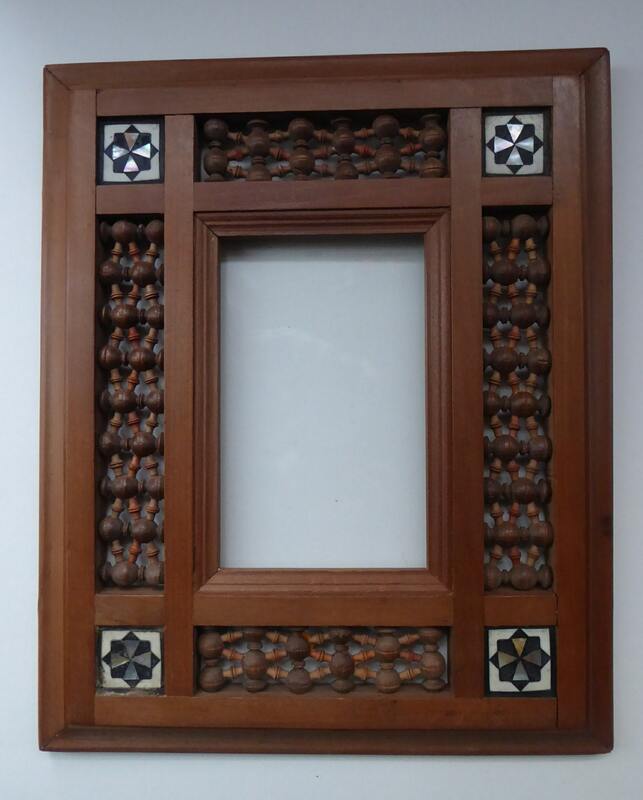 Mashrabiya - is the Arabic name given to an oriel window with is enclosed with a carved wood latticework border (as on each side of my frame). It has been used since the Middle Ages right up to the mid 20th century. Large panels and screens were often seen in houses in Cairo- and sometimes this type of carving was called cairoware. 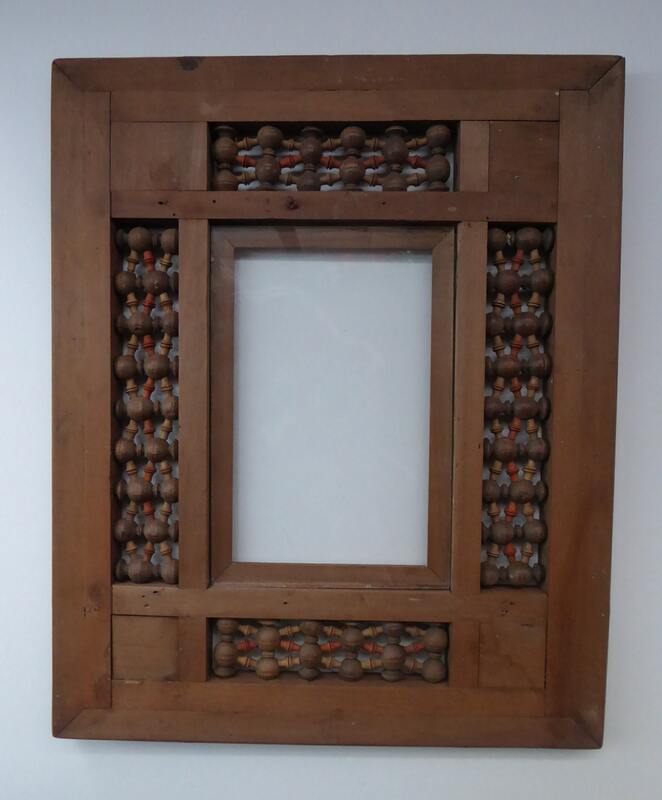 This is a very collectable Syrian / Arabic picture frame (which could also hold a piece of mirror and function as an exotic wall mirror). 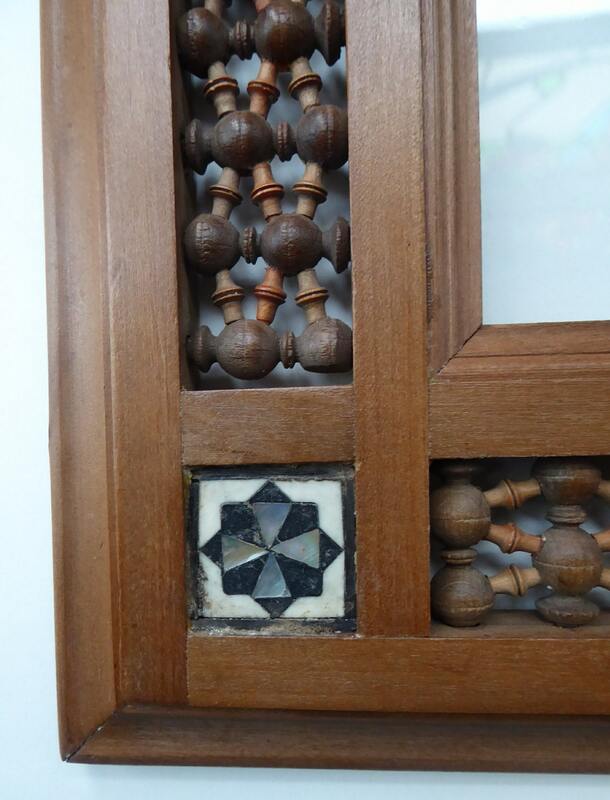 All around you have turnned Mashrabiya panels and at each corner Sadeliwork - where little piece of mother of pearl and ebony have been inlaid to form a geometric pattern. Dimensions: overall frame dimension is 12 1/4 inches by 10 inches. The frame apperture is 5 3/4 x 3 1/2 inches. 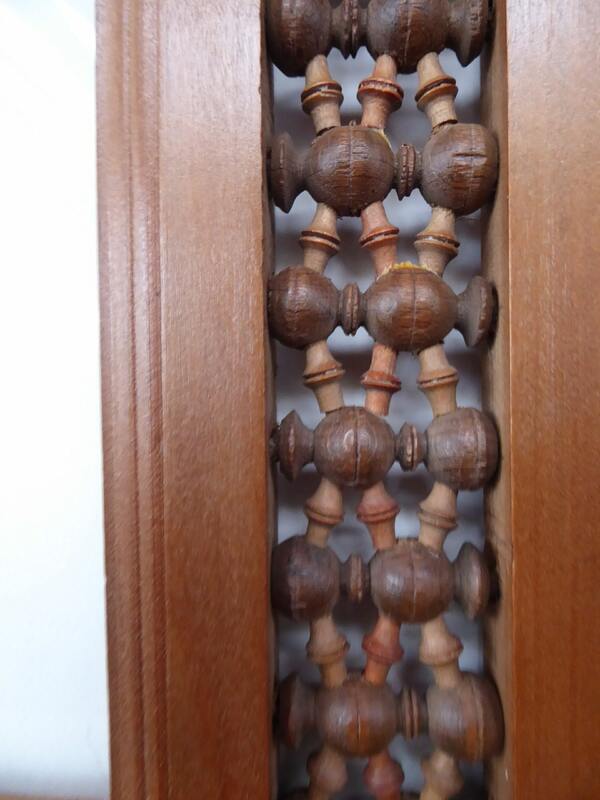 This is a fine vintage piece - with a lovely patina to the wood - there are no damages. It is certainly beautifully constructed - and the back is almost as nice as the front. The glass is original to the frame - but each frame is missing the little wooden back section behind the window area - but I would get a replacement one made to fit. 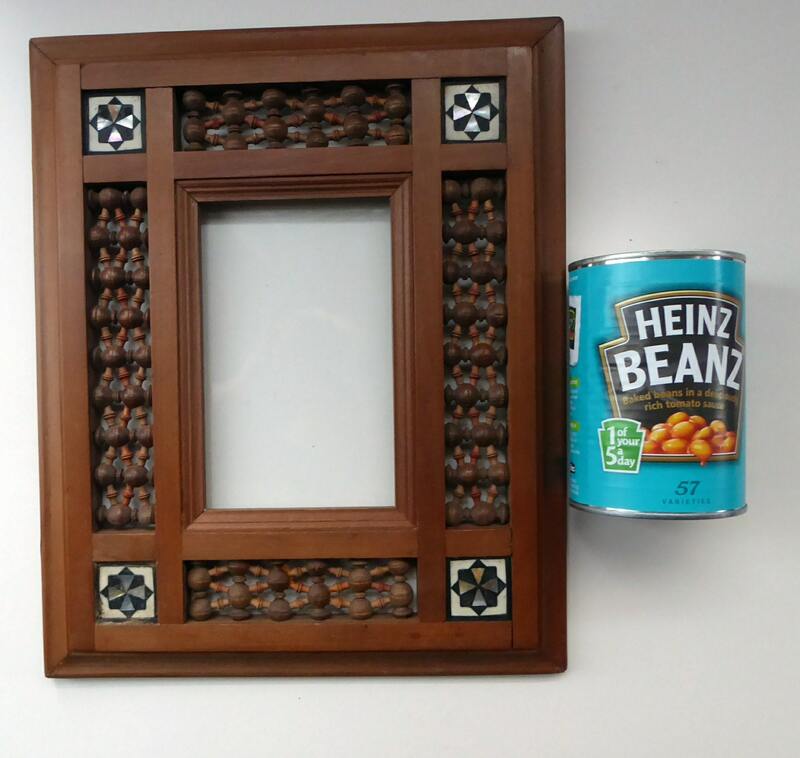 These vintage frames are highly collectable and my price is certainly a fair one for this attractive craftsman made piece. The postage quoted here is for UK Royal Mail, Special Next Day Delivery with the Royal Mail - fully insured in transit.